You Save: $9.98 (50%) Ships in 1 day. 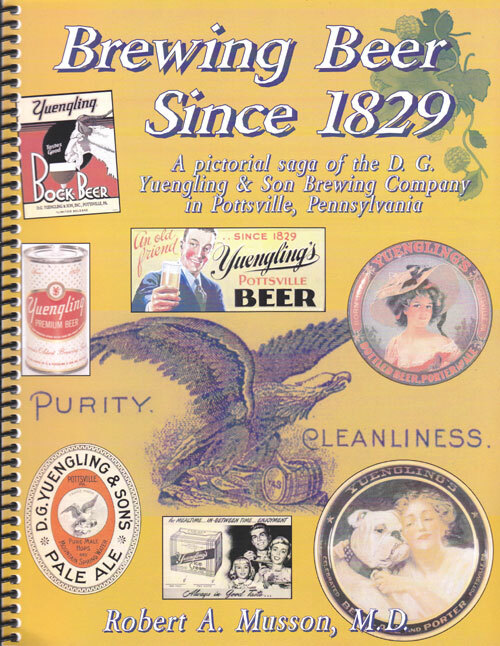 Brewing historian Robert Musson has produced this wonderful pictorial saga of the D. G. Yuengling & Son Brewing Company of Pottsville, Pennsylvania. Through more than 300 images (most in full color) of people, buildings, cans, labels, and advertising, this book covers more than 180 years of brewing by six generations of the Yuengling family. Find out how the company went from barely staying alive in the 1970s, making 100,000 barrels of beer each year for a limited clientele in the mountains of eastern Pennsylvania coal country, to making 2,000,000 barrels a year today in three breweries, with a customer base all along the East Coast and moving westward. Sit back and enjoy the book while drinking a cold Vitamin Y!